Bobit Business Media has served the fleet market for 50 years. Beginning with Automotive Fleet in 1961, Bobit’s Auto Group has grown to eight magazines, four conferences and tradeshows, nine industry Web sites, and nine e-mail newsletters. We cover the fleet market from top to bottom — whether you are targeting commercial, government, or rental fleets; fleet managers, fleet drivers, or senior financial executives; fleets of 10 vehicles or fleets of 10,000 vehicles. OUR PEOPLE — Our editors and publishers collectively have more than 100 years of fleet publishing experience. They have the insight, knowledge, experience, and industry contacts to identify and report market trends. They also serve on many industry association boards and are frequently called on to speak at industry events. 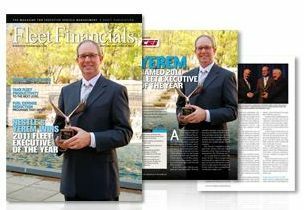 They are devoted to producing magazines, tradeshows, and websites that deliver high-quality content for the entire fl eet market. OUR MAGAZINES — Our eight automotive magazines cover the entire spectrum of the fleet market. We reach more than 250,000 fleet industry decision-makers every month with Automotive Fleet, Auto Rental News, Business Driver, Business Fleet, Fleet Financials, Government Fleet, Vehicle Remarketing, and Work Truck. Our magazines have won countless awards for groundbreaking editorial and graphic design. Our loyal readers and our marketers have come to trust us to provide them with the highest quality print media. We pride ourselves on providing the most eff ective integrated marketing solutions to the fleet industry’s suppliers and vendors. We look forward to working with you on all your fleet marketing needs. To view the Editorial Calender, please click here.